Tailor made to reflect your property’s brand and to complement and increase the effectiveness of your valet parking system. Our 100% customizable valet tags provide quick vehicle retrieval which saves time, increases guest satisfaction and minimizes liability. Take advantage of an opportunity to offer your guests a promotion that will make them feel like VIP’s and boost revenues by generating new business in hotel restaurants, spas and shops. 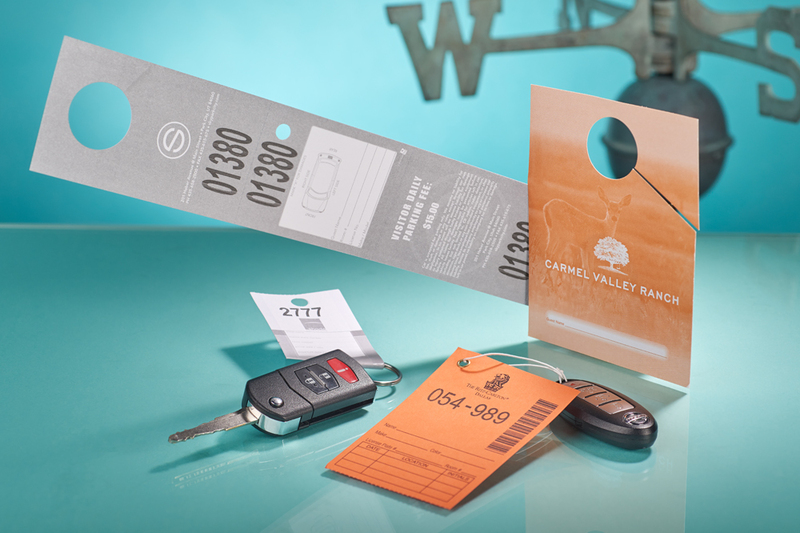 For your convenience, we also offer stock valet parking and key tags. Click here for more information.